Knit Sequins Disco Dot is also known as Confetti Dot. Dazzle your event, with this beautiful Knit Sequins Disco Dot fabric which is available in a variety of vibrant solid and mixed colors. 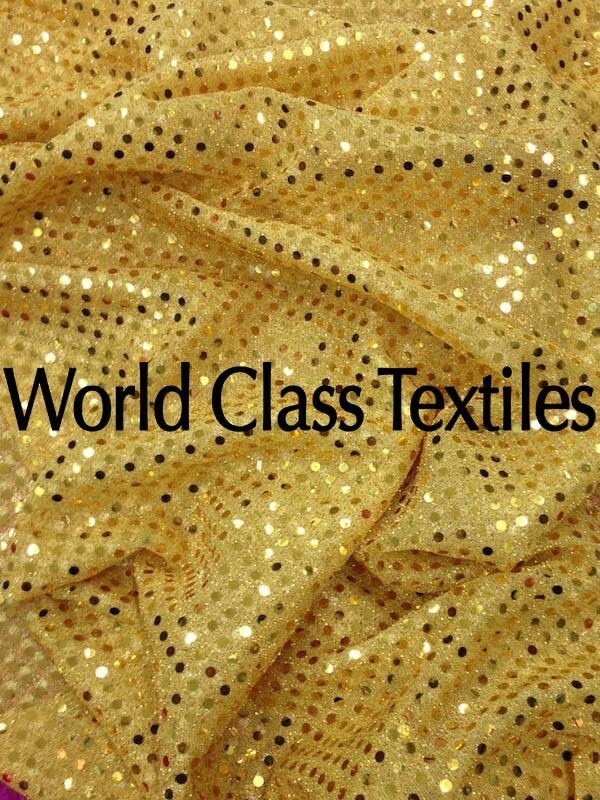 This fabric is a knit fabric which has 3 mm glued sequin dots throughout. It is stretchable and very versatile. It is great for creating glamour at a very low price. Perfect for apparel, dancewear, home and event decorations.